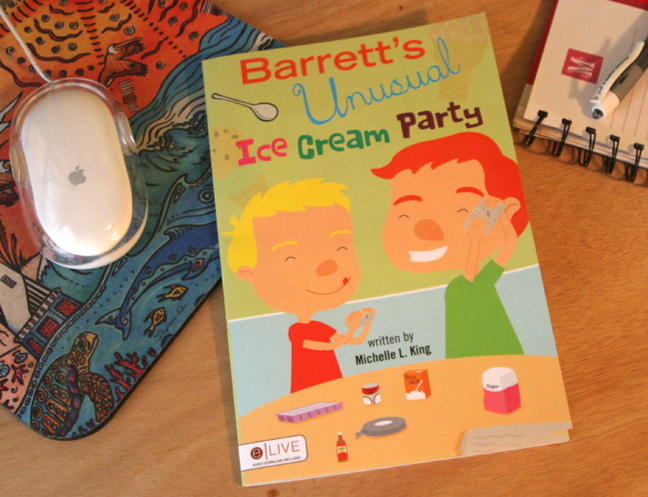 This entry was posted in awareness, book reviews, fun for kids, giveaways, reviews and tagged book review, celiac awareness, children's book, giveaway, gluten-free diet awareness, raising awareness, review, supporter by kachalmers2. Bookmark the permalink. Not only do I have to children who are allergic to gluten and dairy, but I work with many children who also have these allergies as well. We are thankful there are many resources out there, but it still is hard for my children sometimes to go to events where they do not feel included because they cannot have the same kind of food. I feel this book would be helpful for them and to share with the many kids that I work with as well to give them hope and reassurance. Kristin: Did you enter your email address right? You won, but my email to you came back. If I can’t get in contact w/ you w/in 24 hours I’ll have to pick another winner. Please message me through Facebook or email me at kachalmers2@gmail.com. Thanks. Sorry, Kristin, but I tried reaching you a few different ways and we’re well past the deadline, so I have to pick a new winner. Hope you understand! I’m going to be a mystery reader in my daughters KG class in May and wanted to read a story about celiac disease since it’s celiac awareness month. Would live to have a copy if this to share! My gluten free boy would love this book and could relate well to Barrett. Actually, my gluten free husband probably could learn a lesson or two from him. 😉 thanks so much for the giveaway! I would enjoy a copy of this book as we have family with celiac disease and deal with food allergies to milk and all nuts in my house. 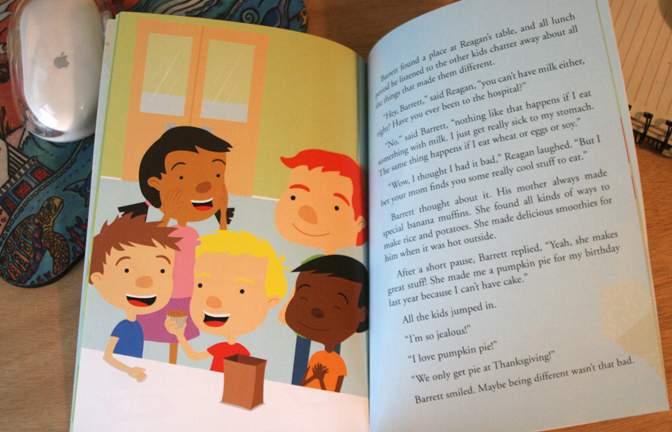 My daughter brings a children’s book about Celiac disease to school at the beginning of each year on Celiac Disease Awareness Day. Her teachers have read it to the class and it’s been super helpful to have everyone understand why she eats differently. It would be GREAT to have a new book to share next year! We would love the books. So my daughter along with other kids in our community won’t feel like they are alone with food sensitivities. We can read it and give to local library. We have limited resources. Our daughter is relieved she is not the only one in family. I too as her mom have a food sensitivity. So we are going through this together. And not the end of the world. We make it fun. I told her to not let it define her. It’s part of the beautiful package of her and I each. I think this would be great for my grandson. Although so far he isn’t allergic …. I am and what better way for Grandma to educate him about the fact that there are many people who really are sensitive and allergic to things, and must avoid them. The randomly chosen winners are Jill E. and Kristin. Thanks for entering!